Southend Transport was well known for ordering vehicles that were a little different from the normal and their association with Northern Counties bodied Fleetlines had been a long one. As such it was no surprise when for 1981 they ordered some more of these ‘Jumbo Fleetlines’ which even in the two door configuration could seat an impressive 80 people. 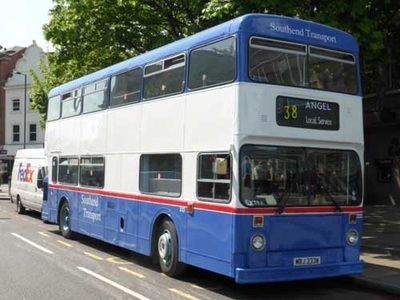 They were delivered in Southend’s traditional blue and cream livery and ran on many of their busiest routes such as the 1s and 29s and it was not unknown for them to venture onto the X1 commuter route to London in times of trouble such as rail strikes or vehicle shortages. 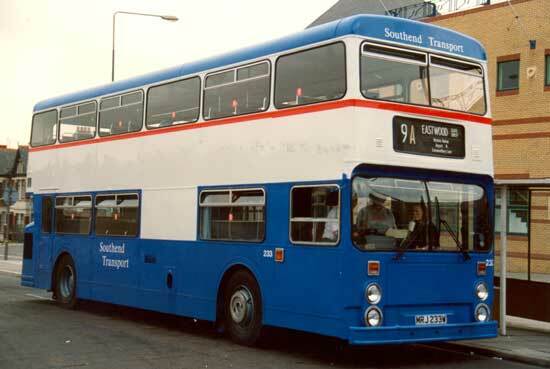 In line with many provincial operators they were converted to single door for the gain of an additional two extra seats taking the capacity up to 82. The batch of vehicles themselves actually outlived Southend Transport as a municipal operator as it was taken over by Arriva. 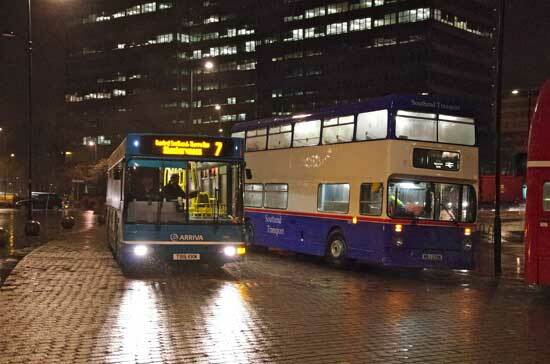 The Fleetlines gained Arriva fleet numbers but not the aquamarine and stone livery before they were withdrawn. 233 passed through a number of small operators and on more than one occasion found itself in familiar territory albeit on rail replacement duties. 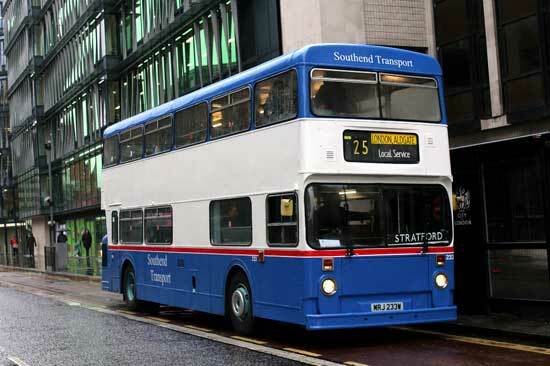 She finally passed into preservation with Stephensons of Essex who restored her into the original blue and cream livery. 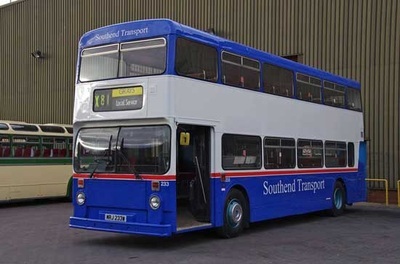 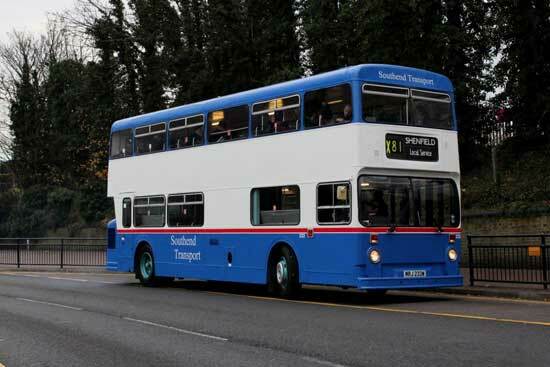 Ensign acquired the vehicle in November 2013 and repainted her into the later Southend livery which is more appropriate to the single door layout. Having successfully been MOT’ed for the 2013 running day her very next job was on emergency rail replacement due to storm damage just before Christmas, of course it ironically was on the Southend line an area the bus would have been very familiar with. 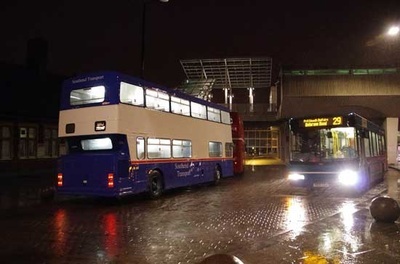 Her next job was covering as an Extra during the 48 hour tube strike where again she served familiar ground running into Aldgate Bus station that she once served as a stand in commuter coach. 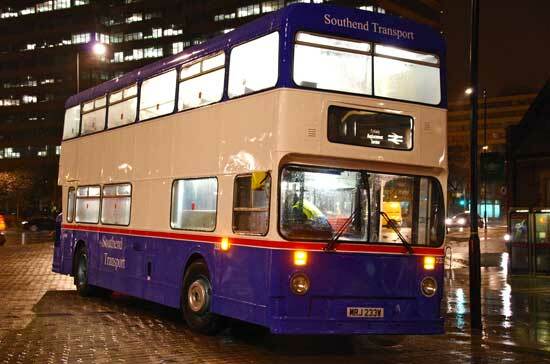 Now available to hire the high capacity and links to the Essex town make her an interesting vehicle for any event. 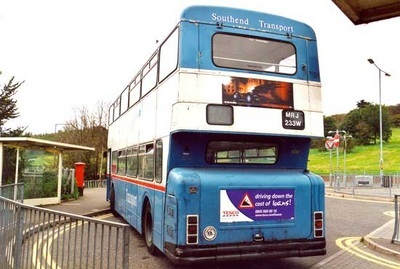 However LT had a penance for over engineering and complicating things and the DMS was no exception. 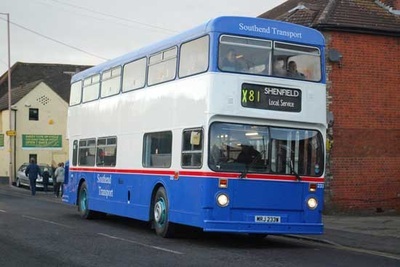 The Fleetline was a well known and proven chassis but with staff shortages, many niggling problems that needed resolving leading to bus shortages and thus less vehicles working harder which in turn caused more problems a viscous circle was born and the DMS’ days were numbered from the beginning. Indeed by the time the very last of the 2646 were delivered, the second generation of rear engine, one man operated buses, the Metrobus and the Titan were already starting to arrive. Ensignbus in its dealership capacity however took the plunge and was contracted to take the lions share of the withdrawn DMS’ starting in 1979. 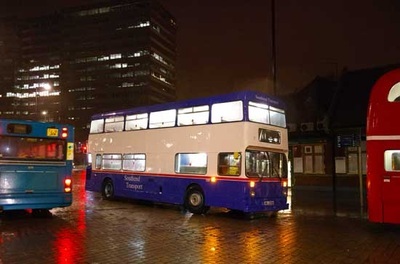 Once they had been ‘de-London’ed’ the vehicles became very reliable and found ready buyers, from as far away as Hong Kong, to many of the UKs largest provincial fleets such as West Midlands PTE, Midland Red, Western National. 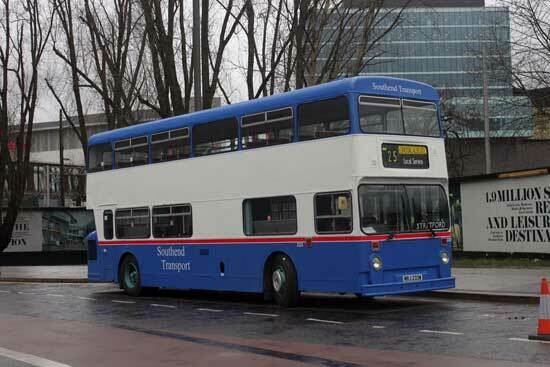 Indeed the vehicles would return to the capital in some numbers, as sightseeing buses. 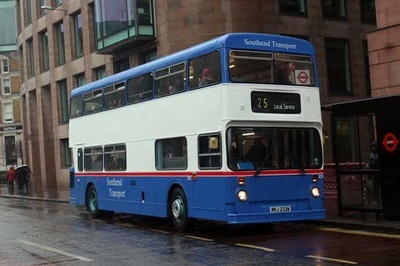 Indeed Ensign hired a number back to London Transport to be used on these duties, and with other operators such as Cityrama, Ebdons, London Hop-on Hop-Off, Culture Bus, London Pride and Big Bus all using them in considerable numbers. 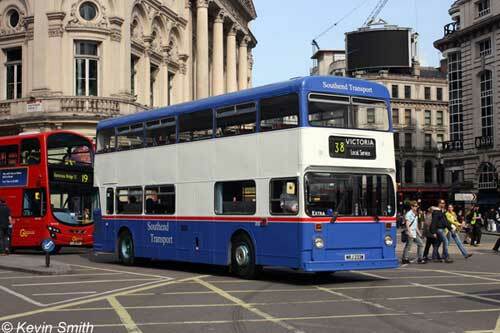 They soldiered on until past the year 2000 albeit in ever smaller numbers and many redundant London sightseeing buses ended up doing the same duties in other cities such as New York or Chicago.